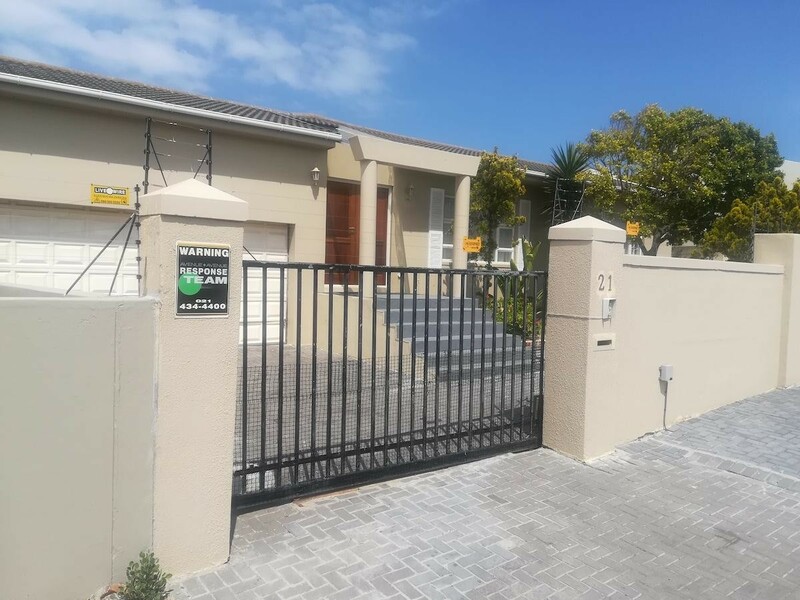 This 177sqm family home on a 771sqm stand has a large covered patio with built-in braai flowing off the dining room, manageable garden, sparkling pool and usable borehole water. The 3 Bedrooms are a good size with built-in cupboards and 2 bathrooms main en-suite. Open-plan dining room, kitchen with large scullery boasting a Gas Defy Stove. Lounge and family room with options for sliders onto the covered entertainer's braai patio. An automated front gate, double garage, sprinkler system, alarm, electric fence and much more, make this a great investment.